While walking may not feel as beneficial as high-intensity exercise, studies show it can be just as effective and is easier to make a habit in the long run — no pun intended. It’s excellent for your health, and as the days get longer and temperatures increase, it’s the perfect time to start. Several studies suggest taking walks for as little as 30 minutes a day can improve both mood and mental clarity. Getting out of the house and experiencing low-intensity exercise helps the body release endorphins, a neurotransmitter responsible for feelings of well-being. Taking regular walks provides a wide variety of health benefits, and some studies even suggest it’s as effective as adopting a regular running habit. Walking also strengthens muscles and can alleviate joint tension, which leads to better overall mobility. Adopting a regular habit can also improve circulation and aid in weight loss — two factors linked to a healthy heart and increased longevity. They say a walk a day can keep the doctor away. The increase in physical activity associated with walking daily has also been linked to improved immune system function. 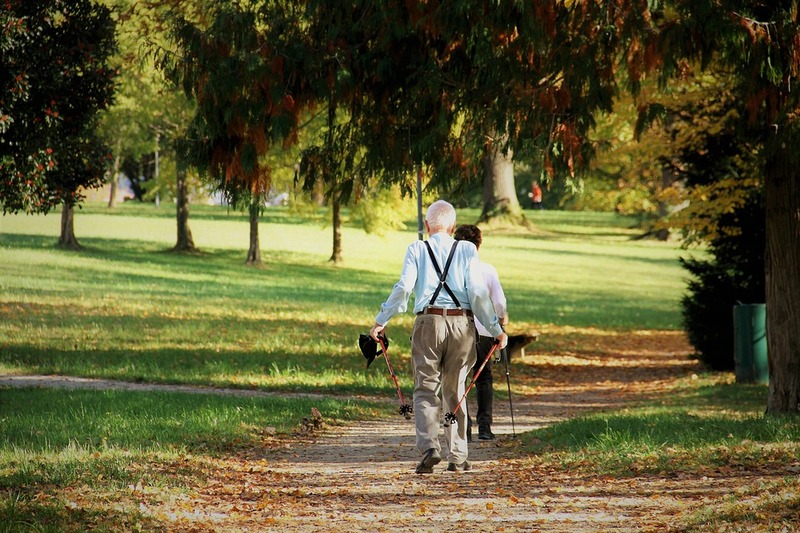 According to TheCareGiverSpace.org, one study discovered that people who walked 20 minutes a day, five days a week, took 43 percent fewer sick days compared to people who did not exercise. As the spring weather appears, taking regular walks is a great opportunity to enjoy nature and experience mindfulness. Whether you’re listening to the bird’s chirp after a long winter’s break or are enjoying the smell of cut grass, a daily walk will surely bring a smile to your face. In fact, short bursts of mindfulness, or experiencing the small joys of the moment, has been linked to increased mood, reduced depression and increased gray matter in the areas of the brain associated with cognitive regulation. At Friendship at Home, we value an active and healthy lifestyle as you age. We also value you being able to stay in your own home for as long as you want. If you’re interested in aging in your own home, with up to full nursing-home level care, call us at 614-734-2167.